The year 2016 eventually created a room for Mobile Networks in Nigeria to proof on who's network data services is cheaper and most reliable, and this is actually the main reason mobile networks are giving out their best hands in ensuring they retain the Data championship title in Nigeria. 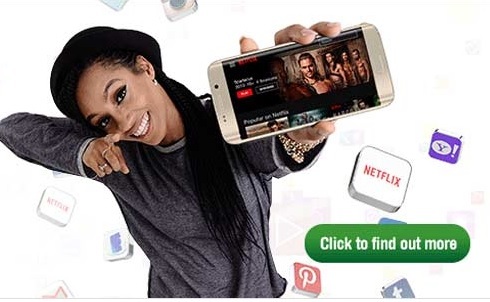 In recent weeks, Maga Blogger have seen how Glo, MTN, Etisalat and Airtel have fought the battle to who offers the best and cheapest mobile data services and who should be mostly patronized. 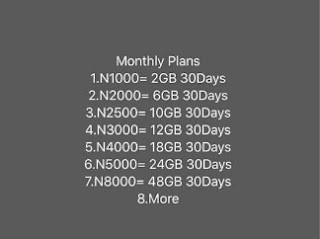 If you have observed carefully, you would noticed amazing data deals these networks services introduces as the day passes by and this is the more reason i think network services in Nigeria are beginning to face reality and forgetting side attractions. You will recall in the past few weeks how MTN, Airtel, and Etisalat exercised their data power tussle to proffer one of the best data deals to their customers and while Nigerians were beginning to get excited with these unbelievable data plans like getting 1.5gb for N1000 on glo,MTN etc and 10gig for N5000 on the MTN network and other exciting offers on Airtel, and Etisalat, Globacom came in with a boom to overtake MTN in her best deals to emerge as the latest Network service providers with the cheapest data plan. Whats New In The Data Contest (Glo Case Study)? And even more exciting data plans. Now the biggest question in the lips of every one is "What will other Network Service do in order not to loose their customer base to Globacom"? 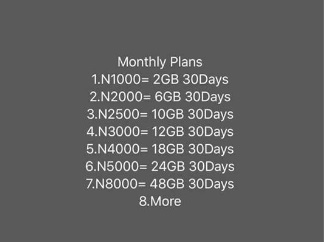 For interested persons, you can subscribe to any of these plans by Dialing *777# , Select 1 data service, and also select 1 to buy data, followed by 2 to see the full list of these amazing monthly plans. While i sip my tea and continue waiting for the reactions of other networks to knockout Globacom from the Number one spot; i think i have finally concluded plans to subscribe to these plans and enjoy it while it last or will i say, it may not be scrapped out in the shortest time frame. What do you guys think of this? Nice or not? Let me get your reply via the comment box below. Yes looks very cheap I guess.